Like you, we're a bit surprised by how Mike Frerichs - in his introduction ad to voters during the Illinois Treasurer's campaign - decided to close his first 30 second tv spot. 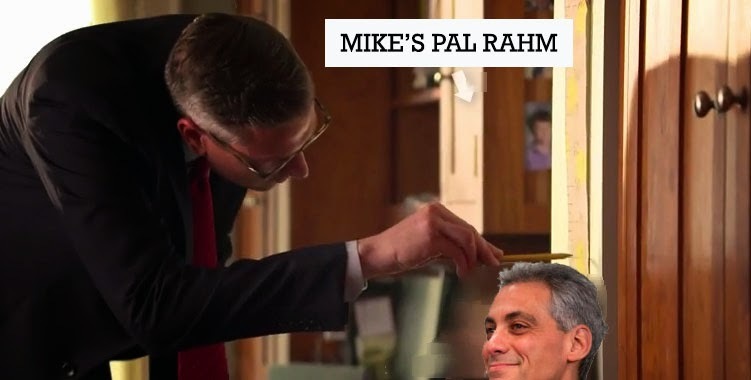 The close to the ad features his pal Mayor Rahm Emanuel and we can only think that Mike Frerichs needed one more 'device' to show off how 'tall' he really is? ?